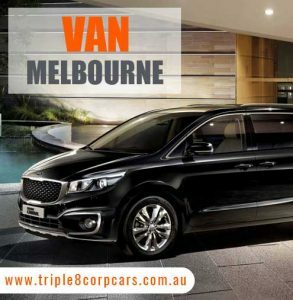 Vans For Day Trips – Triple 8 Vans Melbourne Airport are famous for serving the most luxurious Vans for Airport Transfers Melbourne. We provide vans for all the occasions or events. We transform are service into vans with babyseats Melbourne airport. You can easily book a van at any time through our website. After a long journey in flight, you don’t like to wait for a taxi at the airport with a huge baggage. So, it is an ideal option to book a vans for hotel transfers and travel a stress free and peaceful ride to the hotel. Our customers are very much satisfied with our totally clean vans. It is very difficult to travel with a baby in a group tour. For those people, we offer vans with baby seats in Melbourne airport. With this service, you can enjoy your ride without hanging your baby on your lap. We provide you our best chauffeurs, who have a long experience in this field. After you book our van, you will be stress free about the waiting period of taxis at the airport. With the coordination of your flight schedules, our drivers will be at the airport with the van for hotel transfer. We also offer vans for day tours for groups all around the Melbourne. Your ride will be amazing with our drivers, who knows every street and roads of Melbourne. We offer you the most experience drivers, who have the complete knowledge of Melbourne. We have the dedicating team, who offers you the best vans for day trips at reasonable costs. When you book with us, we are there to give you the answers of all the queries, which you may have. We serve you the most comfortable van transfers in Melbourne. When you plan for an outing with your friends and you have a huge group for a winery tour, then you should go with triple8 maxi taxi cars. We offer you the vans for winery tours that give you the most comfortable and pleasurable ride. Our Maxi cabs serve you the most convenient service. You will feel the luxurious ride with our well-mannered drivers, who will greet you and open and close van doors for you. Our aim is to arrive you safely to your destination with comfort. For a group of 7 or more passengers, our Maxi taxi is the outstanding idea for your journey. Whether you want to transport a huge luggage or large friends group need to reach to the party place, Triple8 Maxi Taxi cars is always ready at your service. When you plan about an outing with a large group of friends, you always desire the easier and comfortable journey. Triple8 maxi taxi cabs provides you all the services that you need.